Continuing with THIS series of posts, today we are looking at using the Flot JScript library for visual rendering of data. Flot is a great little library for charting. It is available from HERE. The Flot library has a few graphing variations available, and we can easily change the CSS as needed to make it look even more appealing. The idea is that presenting information visually will make our users so much faster, and more inclined to quickly glance to see what’s going on, rather than deep dive. Notice how, for the purpose of this demo, I have left the available rendering option buttons on the form. You can change the rendering type as needed, until you figure out which is the best to use. I like to do that with customers because giving them choice empowers them and engages them in the discussion. 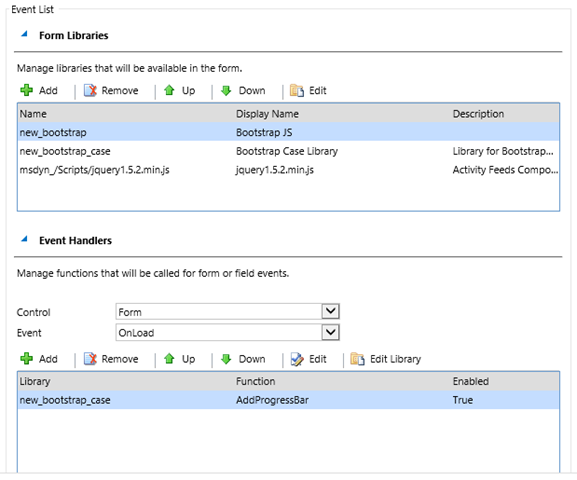 Keeping in line with a previous article about using the Bootstrap library with Dynamics CRM, in this article we will look at using another JScript library. This mini-series of articles relates to the topic I’ve presented at eXtreme CRM this year. It all revolves around visual presentation at the record level. 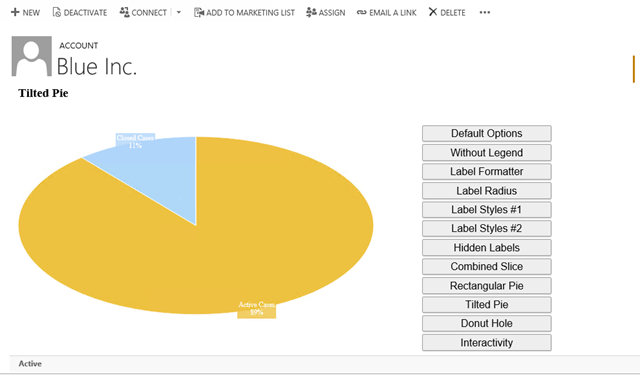 While Dashboards are nice, humans are “visual animals”, and as such, presenting information visually at the record level is not only eye-candy, but also can make a user of the system more productive, and more eager to adopt a new tool. We’re going to be looking now at Easy Pie Chart. There are two reasons I like this library. First off, it is very light. Second, I like the animation. Makes it more “look here first” like. I’ll be using it as is, with no visual customizations, but if you want, feel free to tinker with the CSS. Start by creating a new HTML web resource. Place it in a iFrame on the Account entity. The following code is commented to be self-explanatory, and is only meant to serve as a reference. Some of these calls will be used in future articles when we start looking at providing some real functionality on our records. On an existing record you will also get the Entity ID. 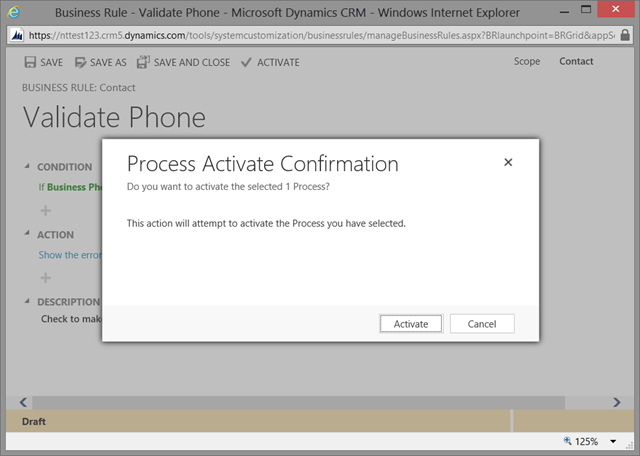 With Dynamics CRM 2013 now we have even more opportunities to play with the UI. We have more choice with regards to layout, more choice with regards to user experience, and implicitly more opportunities to make it better for the user. But, once we start to analyze the user experience, we could find that we’re missing a lot by not being able to do everything we can do on a regular web page. Or, can we? NOTE: some of the items presented in this post are not officially “supported”, and should only be used with that in mind. 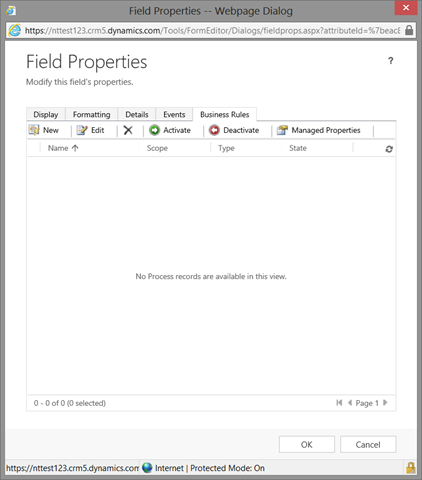 A previous post was describing the proper way to use jQuery in the context of Dynamics CRM. See more details HERE. 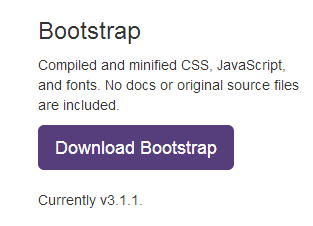 First off, head to getbootstrap.com and download the files. Go in the css folder, and get the bootstrap.min.css file. also, from the js file get the bootstrap.min.js file. We will be using the min files for better performance. Now, in your CRM environment, load these as web resources. In the first part, we are adding our CSS web resource to the page. This will help us with the rendering of the progress bar. The second part of the function simply generates the HTML required to render the progress bar. In this example I am setting it to 40% by default, but you can define the value as needed based on your current business rules. This defines the FetchXML with all the required filters, and calls another function called PopulateGridFetchXML. Our PopulateGridFetchXML function takes in the name of the sub-grid we want to refresh, along with the fetch query. It simply sets the FetchXML parameter to the grid, and calls a refresh on it. You can build your FetchXML using advanced find or manually. While this is a scenario that could potentially be achieved using real time workflows, if you want things to happen really real-time, you have to go back to using JScript. For this example we have an entity called Rule, with a reference to an Organization (lookup to Account). We also have an entity called Rule Condition, which relates to a Rule. On the Rule Condition, once we populate the Rule, we need to also populate the Organization based on the Organization selected on the Rule related entity. 1. Retrieve the value populated in the Rule field on Rule Condition. 2. 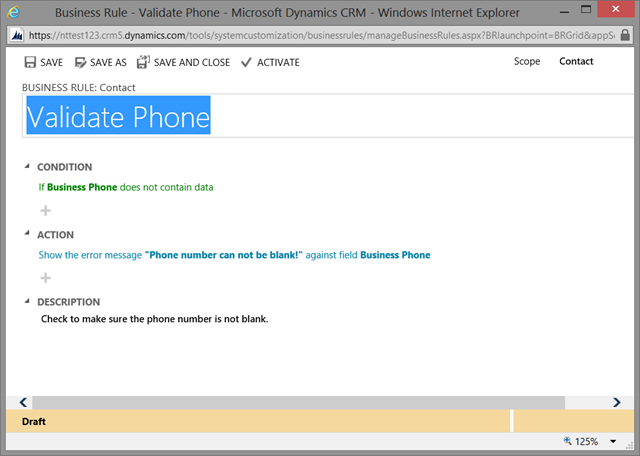 Make a call to retrieve the values from the Rule, specifically the Organization. 3. Create and populate the Organization on Rule Condition based on the Organization retrieved from Rule. And here’s the code. The first function retrieves the Rule ID, and passes it to the second function, which, in turn, makes the call and retrieves the Organization from the Rule, and populates the Organization on the Rule Condition. + "new_ruleSet(guid’" + ruleId + "’)"
If you find working with lookups a little more daunting then working with other fields, this should help. when upgrading to UR2, remember to check your scripts. This method is now deprecated. So how do we use then, and what do they do? Pass in strings for controlName and controlMessage. 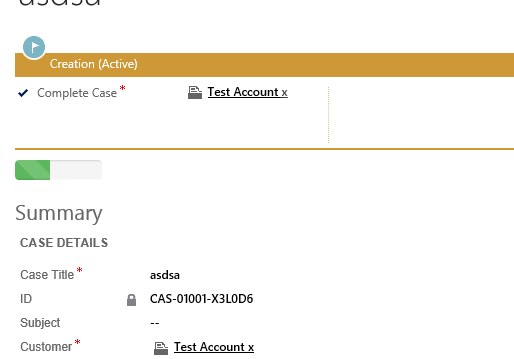 Set your function on either the onChange event of the field, or on the onSave event of the form. 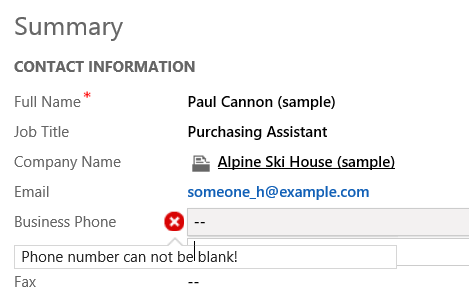 If you set it on form save, it’s a good idea to stop the save if the condition fails and the message comes up. Pay attention to the list of entities where this works, as it works on those that have received an updated user interface. A list of these is provided at the end of this post. this replaces the old getServerUrl(). Use this to determine of the URL used to access the application. Distinction is made now not only between whether we are dealing with an Online or on-premise, but also if using the offline feature of the Outlook plugin. use for instances where Outlook is being used. 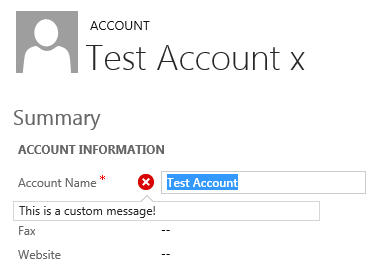 This will return the selected Outlook theme the user has configured. This can be helpful when you design your web resources to match the Outlook client theme. NOTE: Forms will not adapt to the various themes selected, only the custom web resources can be made to adapt. returns the selected base language for your organization. For a default English you will get 1033.
return the GUID for the current user. Note that you still need a call to the web service to retrieve the Full Name if you need to display that in a web resource. Returns the user selected preferred language. You can use this when customizing communication from a specific user, or any other situations where you need to compare the user selected language versus organization default language. Unfortunately available only for the updated entities, but this is returning the user name of the current user. Account, Appointment, Campaign, Campaign Activity, Campaign Response, Case, Competitor, Contact, Contract, Contract Line, Email, Fax, Invoice, Lead, Letter, Marketing List, Opportunity, Opportunity Product, Order, Phone Call, Price List Item, Product, Quick Campaign, Quote, Recurring Appointment, Sales Literature, Team, Task and User.